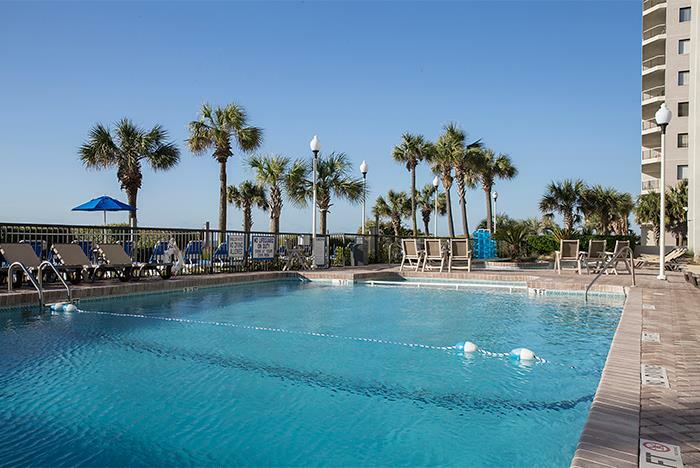 Situated 2.7 miles from Pine Lakes Golf Course, the casual Grande Shores Ocean Resort offers modest accommodations, complete with floor-to-ceiling windows, refrigerators, free Wi-Fi, cable TV and more. 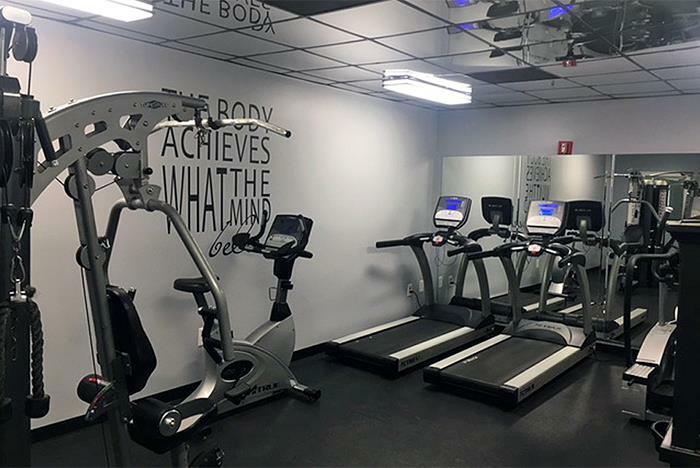 Guests can also enjoy beach access, multiple on-site pools, lazy rivers, whirlpool spas, a poolside bar and grill, a fitness room, meeting space, and other similar conveniences. 6.2 miles from Barefoot Landing. 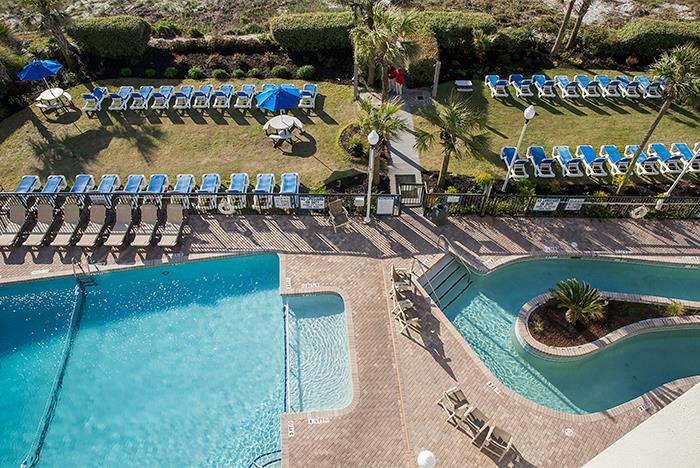 Located in the heart of Myrtle Beach, with a breathtaking oceanfront backdrop, the Grande Shores Ocean Resort beckons you to discover one of the most cherished resorts in Myrtle Beach, South Carolina. 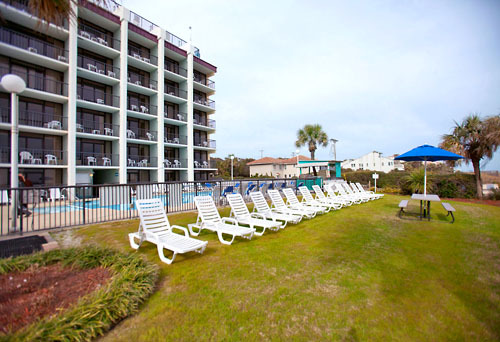 The path to a fun and relaxing Myrtle Beach getaway ends at Grande Shores. Beyond captivating Atlantic Ocean views, guests of our resort enjoy a wide selection of resort activities. 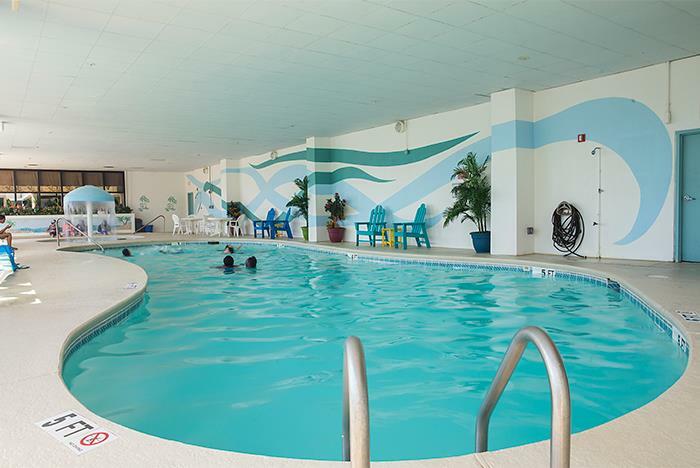 Activities such as golf, fishing and relaxing spa visits are close by. And with our wide selection hotel rooms and suite accommodations, you’ll find the perfect lodging to meet your needs. 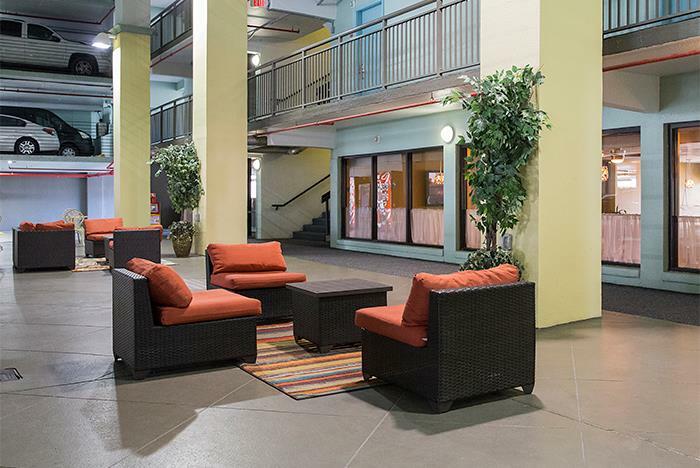 Of course, no Myrtle Beach resort would be complete without a beautiful dining spot, and our Shoreline Café fits the bill perfectly. 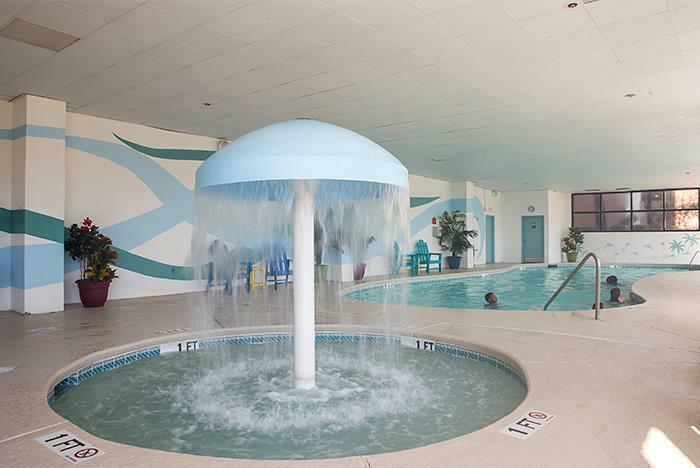 Whether you’re visiting for a family vacation, golf vacation or business trip, Grande Shores is one of Myrtle Beach’s best resorts for oceanfront comfort, convenience and warm, personalized guest service. 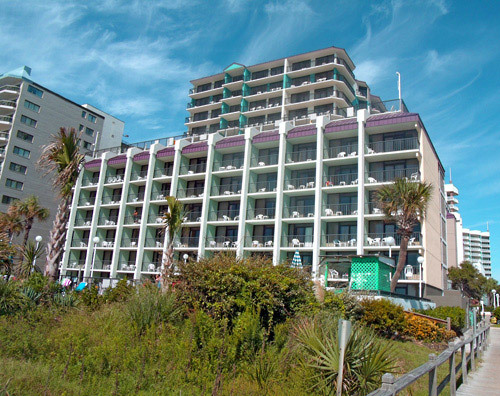 We look forward to welcoming you to Myrtle Beach. A resort fee of 16.58% of room total is collected at Check-In. What is the difference between oceanfront (OF) and ocean-view (OV)? 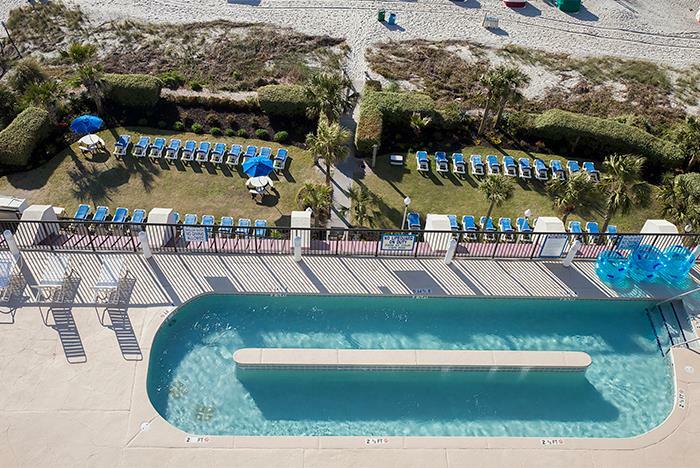 Oceanfront means that your view out to the ocean looks directly onto the water without turning your head. You see the water directly in front of you. Ocean-view means that your view to the ocean looks north or south up the coastline. You see the coastline, the beach, and the ocean in your view. Some views are from the side or at an angle, and you must turn your head. Others are directly ahead. Efficiency rooms have a stove, refrigerator, and microwave. Standard hotel rooms include a small refrigerator and coffee maker. Each guest receives a supply of clean linens and towels in the unit. The housekeeping policy is to replace used linens and towels with fresh ones if a guest stays four days or more. Linens and towels provided include a bath towel, washcloth, hand towel, bath rug, bed sheet, blanket, pillow, bedspread, mattress pad, shower curtain. Also, a dish towel is included in the kitchen. Does Grande Shores have laundry facilities? Yes. There are laundry facilities available on the 2nd and 5th floors in the hotel section and on the 9th and 11th floors in the condo section. The 2 and 3 bedroom condos also have washers/dryers inside the unit (1 bedroom condos and hotel rooms don't). What is the height of the parking garage? The garage clearance height is 6 feet 8 inches, with the open overflow lot located behind Grande Shores for oversized vehicles. 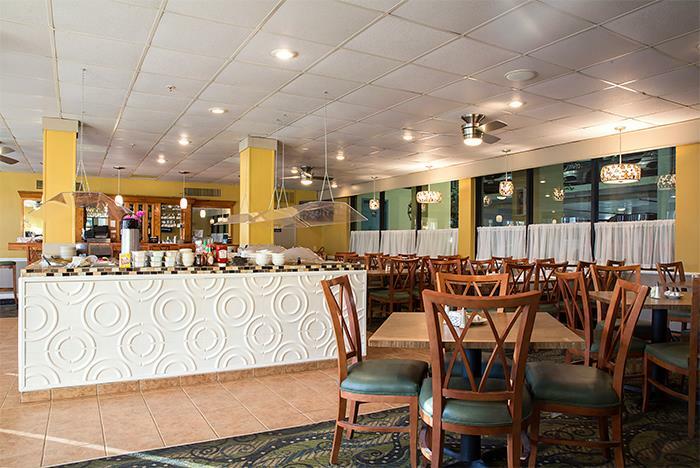 No, Grande Shores offers a full breakfast buffet at its restaurant Shoreline Café across from Guest registration. The breakfast buffet costs $10.95 for adults (12 and up) and $5.50 for children 4-11 years of age and FREE for children 3 and under. Our buffet includes coffee or tea and water. Juice and soda are an additional cost. Some packages and specials include breakfast as part of the price, such as golf specials. No. Pets are not permitted with the exception of service animals. No. No smoking is permitted on any balcony in any unit, and persons found doing so may incur a fine. There is no smoking on any of the pool decks. Yes. Free WiFi access is available. You may request a condominium unit with a safe, subject to availability. Otherwise, for securing valuables, ask your front desk agent about safety security boxes available for a refundable fee of $50.00. Please note that we are not responsible for lost or stolen items while staying at the resort or parking garage. Please make sure that upon vacating your condominium unit you have thoroughly checked for any misplaced items. No. 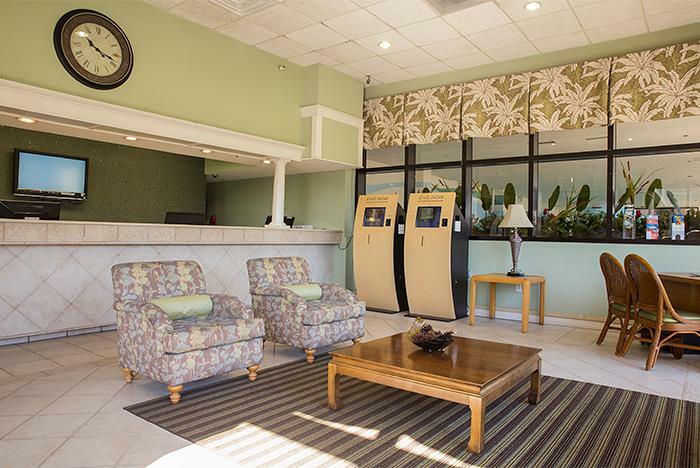 While Grande Shores does not offer its own shuttle service, the front desk agents can tell you about modes of transportation including Lymo (transportation service around the City of Myrtle Beach), rental of a vehicle or motorbike, or the rental of a golf cart. Is a resort fee required? Yes. A resort fee of 16.11% of room total is collected at check-in.